Welcome to Reliable Polymer Industries, Manufacturer & Exporter of Chemical Coating and Linings. The company was established in 2006, at Mumbai. We serve to Chemical, Textile, Fertilizer & other industries. Reliance Industries Limited, Larsen and Toubro are some of our prestigious clients and we are backed by Assured quality products and industry leading prices. We offer a wide assortment of High Tensile Alloy Fasteners, PTFE Roller Coatings & Coated Washers. High Tensile Alloy Fasteners & PVDF Coatings offered by us are widely acclaimed in the market. 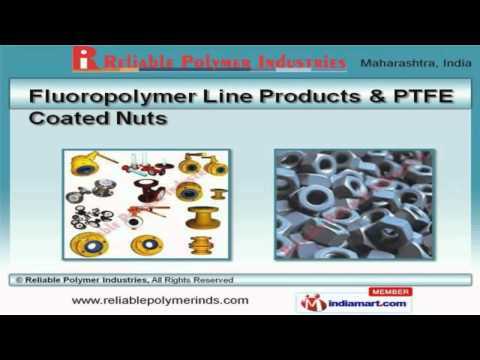 We also provide Fluoropolymer Line Products & PTFE Coated Nuts that are in huge demand across the global markets. Our PTFE Coated Bolts & Studs are well known for their durability. PTFE Roller Coatings & Coated Washers are available at industry leading prices. We have gained tremendous expertise in providing PTFE Non Stick Coatings & PTFE Bonded Metals Parts.